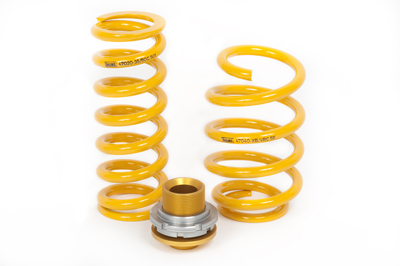 Ohlins Suspension products define the gold standard for performance suspension upgrades. Ohlins Suspension is the premiere performance suspension manufacturer with a proven track record of over 200 World Titles in numerous motorsport events. 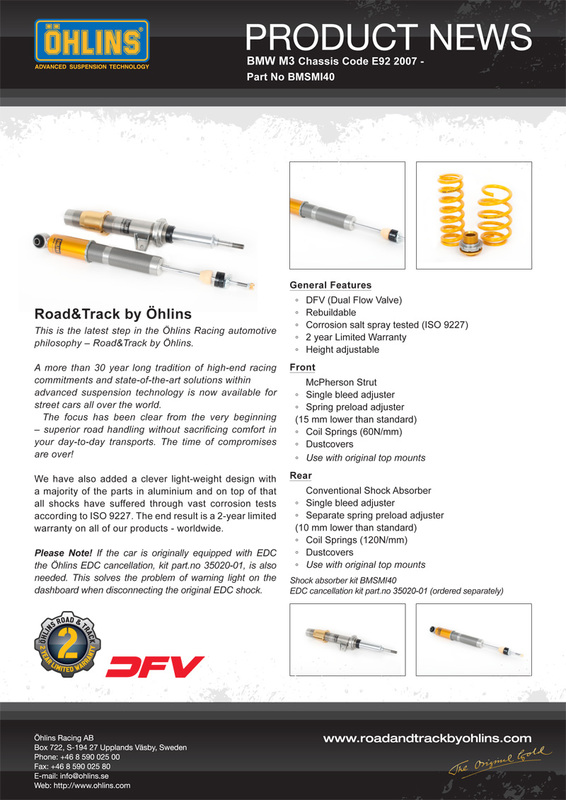 The Ohlins Road & Track for BMW E9X M3 are the perfect coilovers for street or track driving. 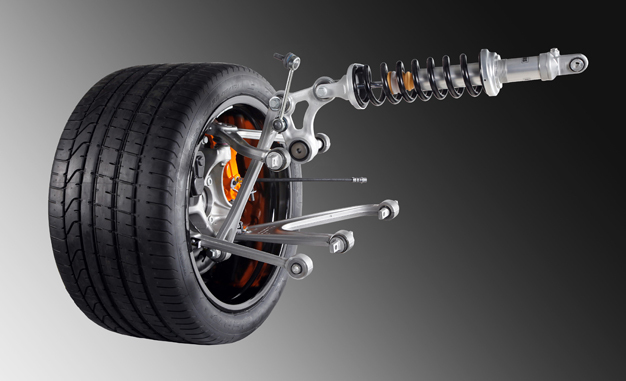 The Road & Track Coilovers are inspired by Ohlins' motorsports products to provide you with track-proven performance while maintaining daily driving comfort. You will see significantly improved acceleration, braking, and handling with the Ohlins Road & Track Coilovers for BMW E9X M3. 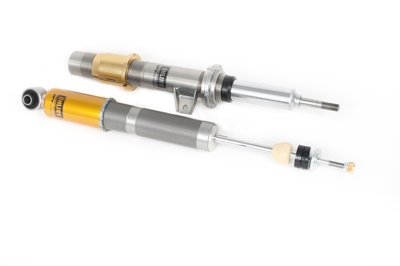 All Ohlins coilovers are lightweight, corrosion resistant, and fully rebuildable with a two-year limited warranty.